Sorry for my absence for the past week! I was on vacation and kind of took a break from nails, and took some time to enjoy the summer and to hang out with my friends. 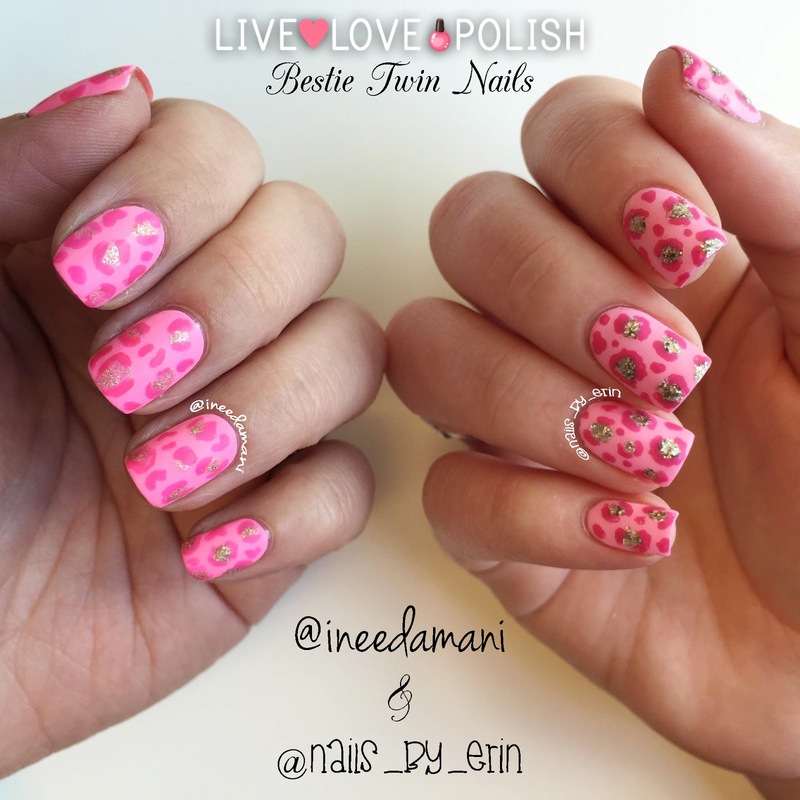 But I am back with these matte pink leopard Bestie Twin Nails with the lovely Carmen from @ineedamani! If you guys didn't know, this summer I have been working in the Live Love Polish office helping to wrap and pack orders! (You might have even received a handwritten note from me in your order if you ordered some polish from them this summer! :P ) I have had such a great time and I got to work with so many great people, including Carmen. Yesterday was unfortunately our last day working together, so in proper Live Love Polish style, we did some really fun pink nails! 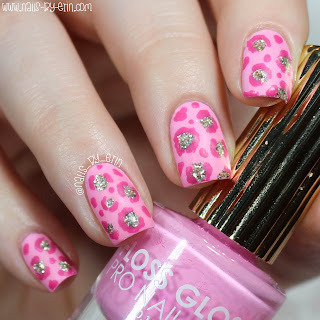 We decided on this cute matte leopard design, which was completely inspired by @allnailseverything. For my base color, I used Floss Gloss "Perf", which is the perfect bubblegum pink, then used a gold glitter polish, Sally Hansen Complete Salon Manicure "Golden Rule", for the center of the dots. The darker pink is Essie "Mod Square", which I used to outline the spots. I didn't make a tutorial for this, because leopard print is pretty simple. I've make leopard print tutorials before, if you are really interested in seeing how I do mine, then check out my YouTube channel to see the tutorial! Big thank you to everyone at Live Love Polish for always being so amazing, and for welcoming me this summer! I had such a great time. DISCLAIMER: All opinions expressed on any products are strictly my own. Some links are affiliate links.